It took me a while to read this story. The first time I read it, I wasn’t in the mood for fantasy. For the second time the reading experience was smooth sailing. 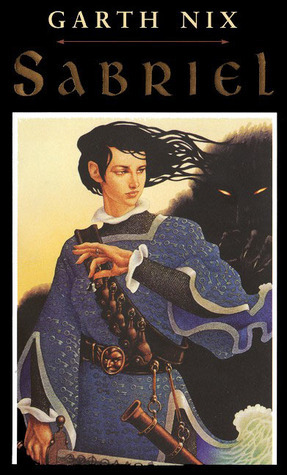 I love the story, it is a high fantasy novel which highlighted the adventure of Sabriel. She is the seventeen year old daughter of the Abhorsen. An Abhorsen is a necromancer who helps spirits or souls to pass through the gates for peace. The story starts at a slow pace. Sabriel is introduced as a character with lots of talents. The adventure only started when the Abhorsen sends his necromancy equipment thru his messenger to Sabriel. As Sabriel tries to save her father, she revived Touchstone and has Mogget as a travel companion. The ending was amazing, it was a cliffhanger of some sort but I just love how everything came to be. I gave this book a 5 hearts rating because I love the story despite the teasing ending. I did not agree with Sabriel’s plan because the story seems to be more complicated. Anyways, the characters improved a lot. Sabriel learned how to survive on her own. She became a legit necromancer and was able to fall in love too. I don’t know how she fell in love but she did. Aside from this, I like the pace of the book, I was able to know each of the characters. As for Mogget, I’m still quite curious or I just did not understand how he came to be. This does not bother me because there are still two books which I need to read for this series. For me, out of most of the romantic lines I read from different books, Touchstone’s confession would be the best. It was sincere, simple and it does not aim to flatter or impress. BUY, BORROW, NEVER MIND: Buy, because its a good beginning to a series. It is also a good read for people who would want to dive into fantasy but are reluctant. Disclaimer: This review is my honest opinion on the story. I did not receive any kind of compensation for reading and reviewing this book. I am under no obligation to write a positive review. I purchased my own copy of Sabriel by Garth Nix. The book photo and synopsis here is from goodreads.com.